Ocean SEO is a freelance SEO services company and digital marketing consultancy located in Brighton, Sussex and Eastbourne (Polegate). All the SEO services Ocean SEO uses as a freelance SEO consultancy are 100% ethical white hat techniques to help your gain website greater visibility on the search engines. All our SEO analysis audits, research, development and link building is all carried out manually in-house. As a freelance SEO services company has a base in both Brighton and Eastbourne means Ocean SEO can benefit from being part of a thriving digital community and a flourishing spirit of entrepreneurship throughout Sussex, Kent and London. Our freelance SEO services are focused in the south of the UK but Ocean SEO actually implements link building and major SEO campaigns throughout the UK. Many small to medium-sized businesses cannot afford the high SEO charges that large SEO agencies charge nowadays so they believe that good quality SEO not only too expensive for them but beyond their reach as well. Ocean SEO is freelance SEO services specialists who have taken the experience and knowledge they have learned over many years at other SEO agencies and made this available to small and medium-sized businesses. Ocean SEO is always available for our clients whenever they are needed. 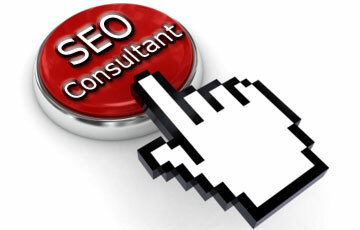 Clients have direct access to the SEO consultant working on their SEO campaign. There is no time delays with having to deal with several people or having to get passed PA’s. SEO companies usually tie you into long-term contracts. Here at Oceans SEO we just request that you commit for at least 6 months. As a SEO freelance consultancy, we are not bogged down by red tape or corporate procedures which means Ocean SEO are able to vary the ways in which you’re monthly SEO budget and SEO campaign is carried out so we can produce the best possible impact on your website’s overall performance. As a freelancer SEO company, we also have more flexible working hours and therefore will be happy to discuss your circumstances in the evenings or weekends if necessary. We aim to form long-term relationships with our clients and work with them to achieve the best results possible. We almost become part of their actual team as we like to intrigue as much as we can with the businesses we work with. As a freelance SEO consultancy, Ocean SEO works on an open policy, where he will explain everything we do and provide you with a monthly update report on your SEO campaign. In general Oceans SEO believe that by being a Freelance SEO company means we are not are bound by working hours policies and protocols which means we can take better care of your SEO campaigns and will do it sincerely as opposed to a company where you are just one of several of their accounts they handle as their job. Ocean SEO’s philosophy is that by effectively using freelance SEO services, we can help your business reach its optimum potential online and organically grow into a larger business. As a professional freelance SEO consultancy, we apply the best SEO techniques available for your specific SEO budget to help create the biggest impact on your search engine rankings. Ocean SEO he will not use ANY form of black hat search engine optimisation techniques which are sneaky SEO practices that could risk getting your website banned by Google. We are aware that there are hundreds of SEO agencies, SEO consultants and SEO freelancers out there offering SEO services of a VERY questionable nature. However, these SEO companies and consultants have no transparency and often actually have no real experience or knowledge of SEO. As an honest freelance digital marketing agency, we will explain all our SEO work in plain English and won’t blind you with technical or industry jargon. Ocean SEO never make promises we cannot fulfil and would never take money from a delusional client who wants to be top for a phrase that his/her budget will never achieve. We would simply and politely turn the business down (and has done several times in the past) because Ocean SEO prides our freelance SEO consultancy skills and services on being honest, upfront and genuinely interested in helping clients make a success of their business. So if you are a small or medium-sized business then remember that we offer SEO services to Brighton, Eastbourne, Hove, Bexhill, Hastings and any other part of Sussex so if you are looking for Eastbourne SEO Services, Brighton SEO Services, Sussex SEO Services, London SEO services or anywhere else in the UK and you need affordable Freelance SEO services then get in contact with Ocean SEO. To find out more information about our Freelance SEO services or you wish to find out more about any of the digital marketing services we offer then email us or call 07522 448459. If you are a small or medium-sized business in Bexhill, Brighton, Eastbourne, Hove, Hastings, Battle or anywhere else in Sussex looking for digital marketing services to help you achieve higher search rankings and increased website traffic levels then contact Ocean SEO. If you wish to find out more about our affordable Sussex SEO services then please feel free to email us or call us on 07522 448459.